When performing inspections, especially on older homes, my experience has taught me to focus on certain areas in a house that could contain health hazards such as mold, asbestos and lead. Rural properties pose other potential problems, including abandoned or leaking fuel oil tanks and septic systems that have reached the end of their life expectancy. I may recommend a separate septic inspection. Correcting these deficiencies could cost thousands of dollars. 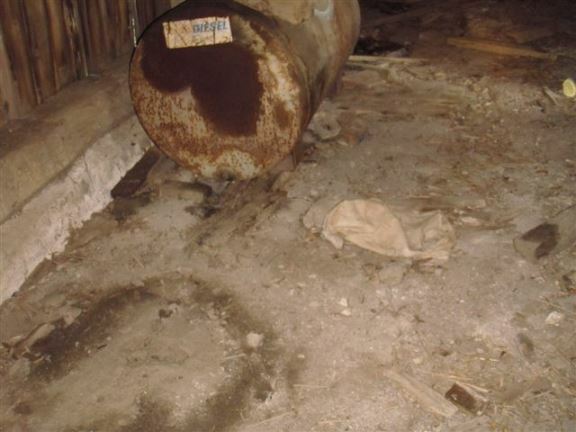 This abandoned oil tank on a farm property could be costly to remove or could leak causing environmental issues. 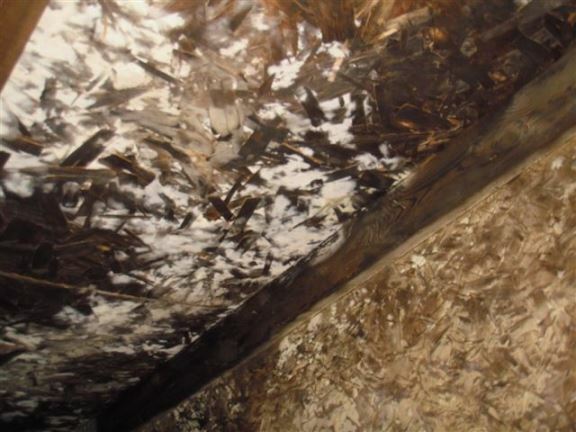 This vermiculite insulation in an upper attic was hidden under fiberglass insulation and could contain asbestos. 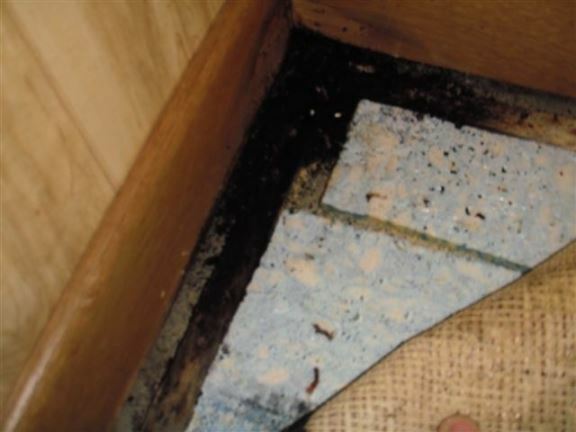 Mold is growing under this floor, a sure sign of moisture problems. 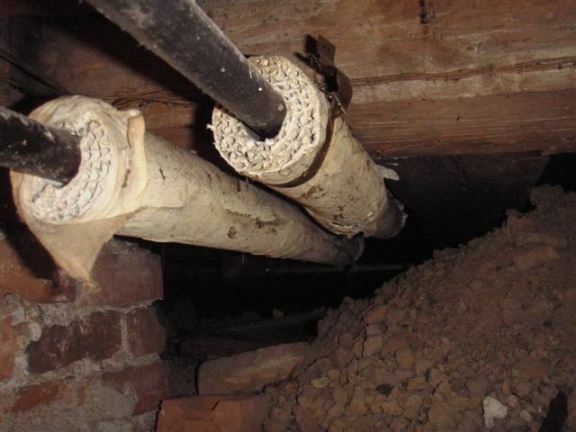 Asbestos-wrapped heating pipes in the crawl space. 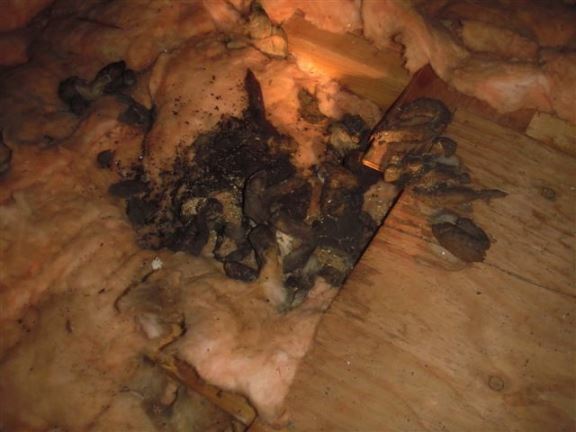 Bat droppings in the attic are a sign that there are likely unwanted "live in" guests residing in the house. 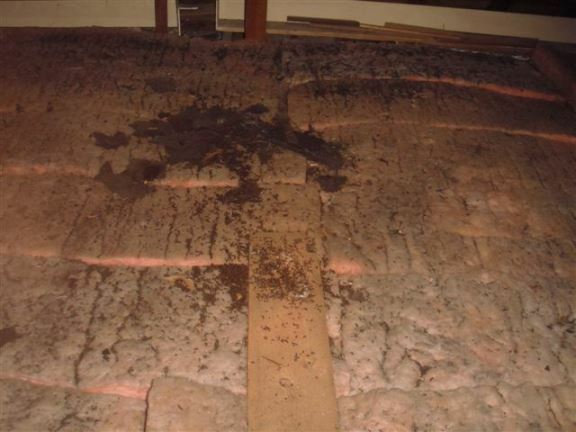 Roof vents are needed to provide air-flow in the attic area to prevent mold, rot and heat build-up. These ones have been blocked off for some reason. 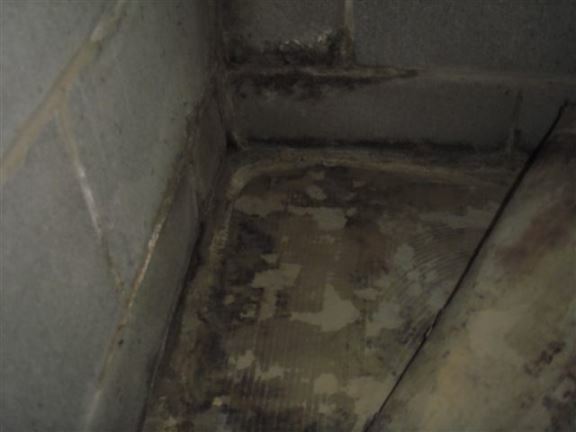 Dampness and water seepage has caused mold to form in the corner of this basement. 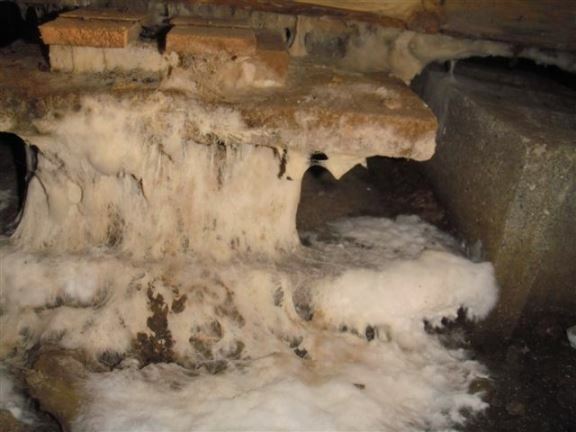 This crawl space in Shrewsbury had fungus growing everywhere. 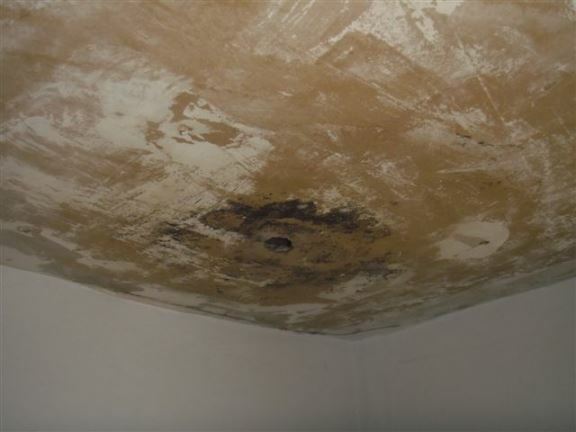 Mold on this bathroom ceiling is a sign of improper bathroom ventilation. 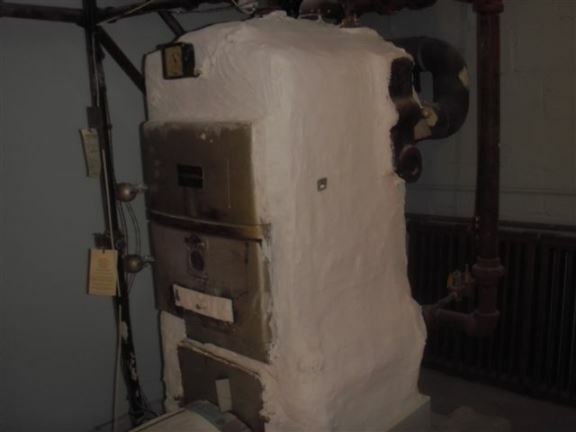 This is a very old boiler with asbestos covering. 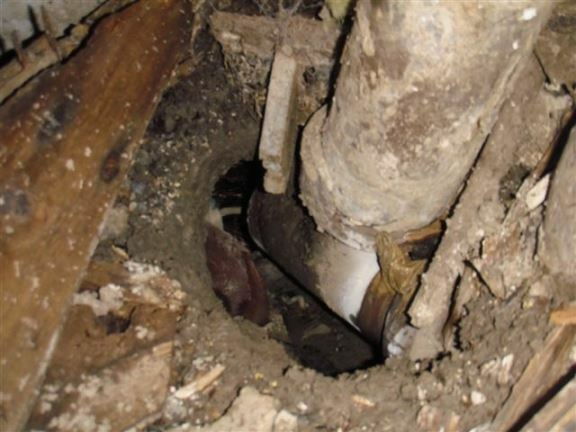 This open sewer pipe in a crawl space is pouring raw sewage on the crawl space floor. 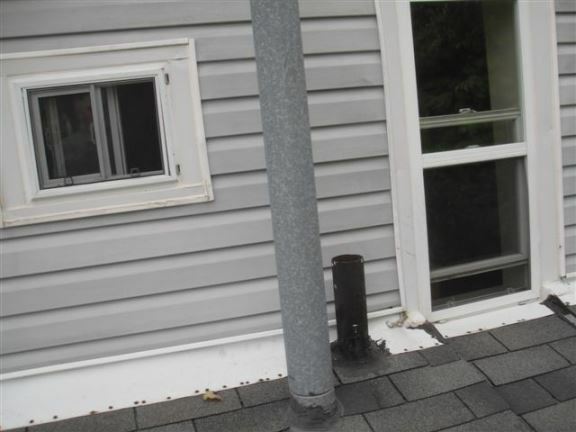 Plumbing vents should never be this close to a window or door. What is that smell? 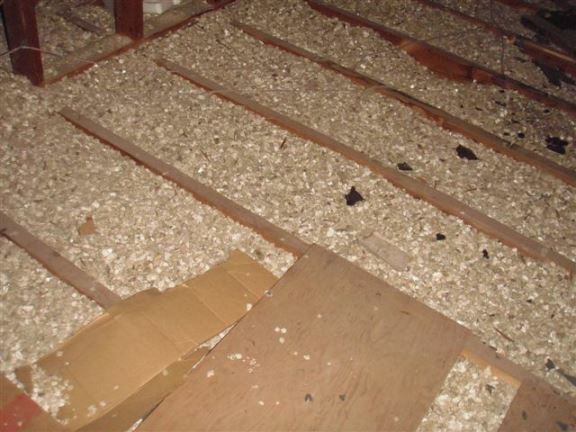 A large pile of raccoon feces is a sure sign of unwanted guests in the attic. 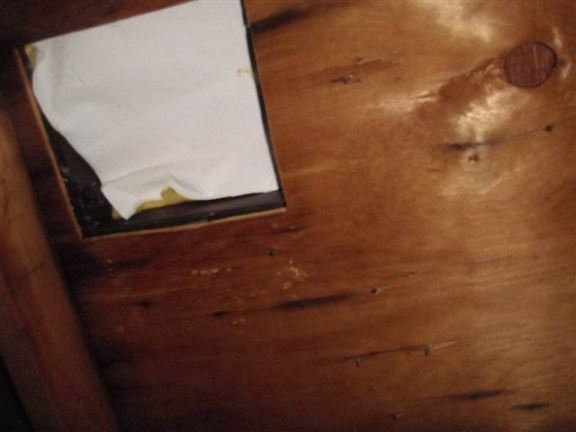 Here we see rotted wood in an attic. 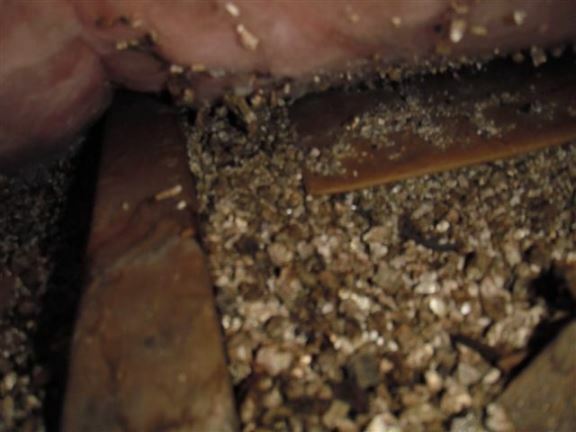 More vermiculite insulation that often contains asbestos. 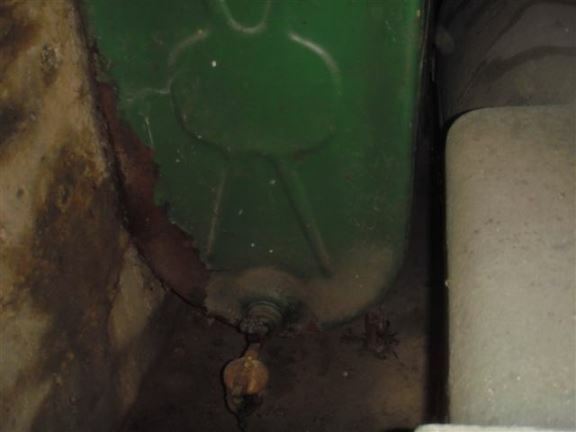 This abandoned, rusted oil tank in the basement will be expensive to remove. 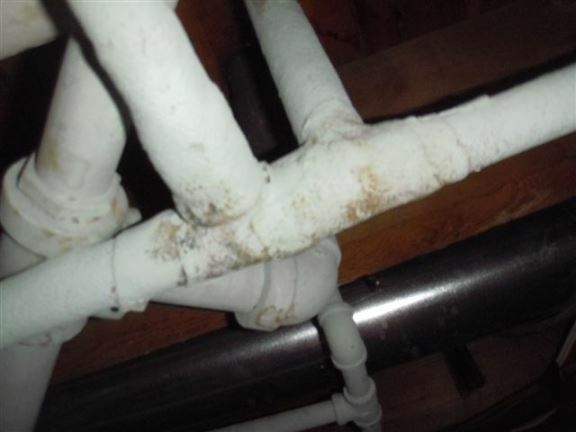 The asbestos on these heating pipes, if disturbed, could become airborne and cause serious respiratory problems. 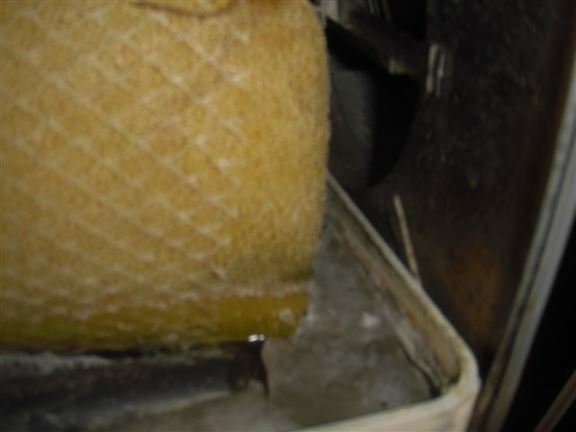 There is mold in this furnace humidifier tray; this is a common maintenance issue. 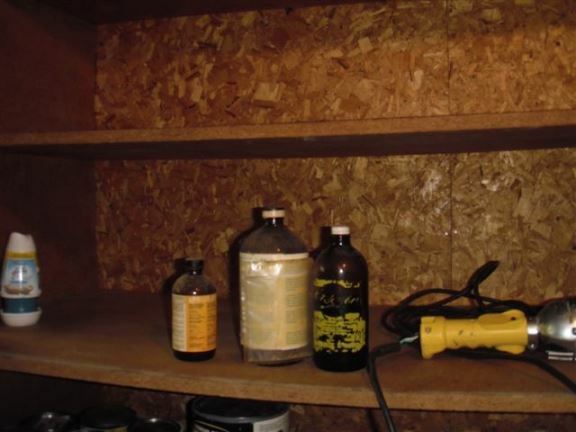 Old chemicals left in a basement that you don't want to have to deal with.